So was born what became the Imperial Trans-Antarctica expedition of 1914 - 1917. The intentional goal was ambitious - audacious even, considering that only 10 men had ever stood at the South Pole and 5 of those had died on the return journey. The story that would unfold was to be beyond any expectations and completely different to that planned. It is quite simply one of the most incredible adventure stories of all time. Remarkable even for an era and region that already has far more than its fair share of incredible tales of heroism and fortitude in the face of appalling hardships. This is in effect 3 individual adventure stories back to back. In the first, the crew of the Endurance are stranded, stuck in pack-ice just one days sail from land fall on the Antarctic continent. Eventually, the pack-ice crushes the ship and the men are marooned hundreds of miles from help on unstable sea ice and totally beyond the communications with the outside world. Against the odds, they stay together physically and mentally and reach land fall on Elephant Island. This is but a temporary respite, better than moving and unstable pack-ice, but by no means safety. In the second story Shackleton and five others set sail for South Georgia in a 20ft lifeboat, the James Caird, in some of the roughest seas in the world and at one of the worst times of the year. In the third adventure, the crew of the James Caird, arrive at possible salvation, the island of South Georgia, but on the wrong side. The island had never been crossed and the party are ill equipped to do so. As there is no alternative other than failure, they set off to cross the mountainous and glaciated island for the whaling stations on the other side, from there they can then plan the rescue of the men left behind on Elephant Island. The story of Shackleton and the Endurance in more detail. There are many tales of how many people applied to join Shackleton on this expedition and how keen and eager to go many of them were. 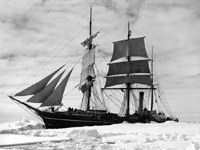 It seems that then as now for Antarctic expeditions, the majority were inexperienced and / or unsuited to the job they were applying for, and while for some positions, there were many takers, for others there were hardly any, just a single qualified applicant who in some cases may have had to be cajoled into applying. Shackleton ended up therefore with a very mixed crew, from the capable who were ready to await and take orders, to others, who while capable of doing their own job, were prepared to question or cast doubt on decisions made or were potential agitators. All of the men proved themselves in the end though it was a difficult journey in all respects. It is Shackleton himself who comes through as being the force that held it all together. 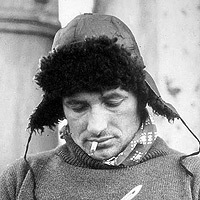 40 years old at the start of the expedition. The unknown giant of the Heroic Age of Antarctic Exploration. 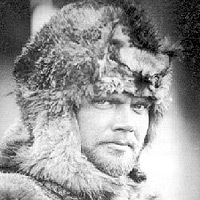 Frank Wild played a significant role in several of the most important expeditions, being on board when the Discovery sailed for McMurdo Sound in 1901 so heralding the start of 20 years of epic exploration and adventure. No one else was so involved and no other explorer spent so long in Antarctica. 41 at the start of the expedition. Eccentric and indispensable to the expedition, Worsley's uncanny navigational skills could hit small islands at hundreds of miles range with only occasional readings, the minimum of instruments and in the worst possible conditions. 42 at the start of the expedition. 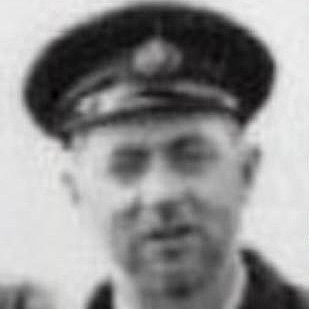 Lionel Greenstreet served in the merchant navy and joined the Endurance just 24 hours before it left Plymouth, England. The original first officer had resigned in order to join the war effort (1st world war). A master Mariner and the last surviving member of the expedition. 25 at the start of the expedition. The best penguin catcher a skill of great value during the time that the crew drifted on the pack-ice of the Weddell Sea and while awaiting rescue on Elephant Island. 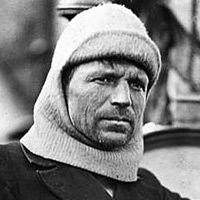 Hudson suffered particularly badly from ill health in the boats before Elephant Island and also when waiting for rescue. His first name is correctly spelled Huberht the old Anglo-Saxon way, rather than the more common Hubert. 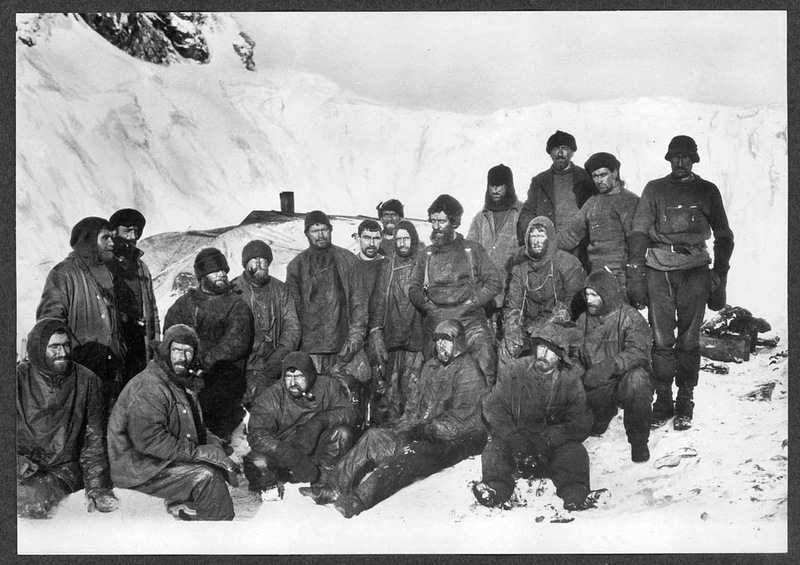 28 at the start of the expedition. An experienced seaman and highly respected Antarctic hand. 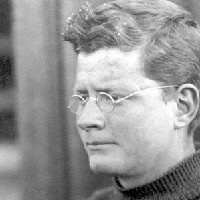 Rather gruff in the way he dealt with the world, Crean was nonetheless effective and another of the unsung heroes of the Heroic Age of Antarctic exploration. He served both Scott and Shackleton and outlived them both. 37 at the start of the expedition. An old Antarctic hand on his fourth trip south with the Endurance, Cheetham was ever cheerful and ever popular, one of the oldest men on the Endurance, 47 when it set out. Volunteered for a trip to Antarctica despite a particular aversion to the cold, a good engineer with a good understanding of the still relatively new and little used internal combustion engines. He suffered particularly on the voyage to Elephant Island and had a mild heart attack on landing. 31 at the start of the expedition. A quiet capable and dependable man, the youngest member of the Endurance crew until the stowaway Blackborow was discovered, just 21 years old on leaving England. 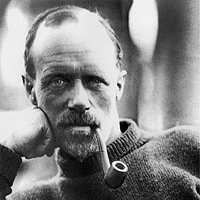 One of two surgeons on the expedition, Macklin also had the job of driving a team of sled dogs and caring for the expeditions dogs. Usually medics would have little to do professionally on an Antarctic expedition, being there for the unexpected emergency that may happen amongst the predominantly young and usually very fit men, as the difficulties of the voyage increased however, he found his skills increasingly called upon. 25 at the start of the expedition. 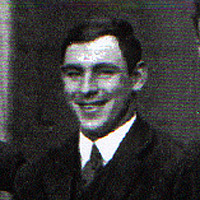 McIlroy was suffering from malaria at the time of his interview that he contracted in the far east, and shook constantly while with Shackleton but was taken on - he had been the only applicant for the position of second doctor, and so was given the job. McIlroy also had the job of driving a team of sled dogs and caring for the expeditions dogs. 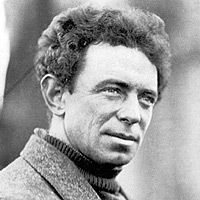 Like Macklin, McIlroy found his skills increasingly called upon. 35 at the start of the expedition. 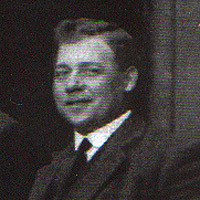 Glaswegian, Jock Wordie was an amiable and popular member of the expedition. He was a geologist and head of the scientific staff. Such was his commitment to the expedition, that he gave Shackleton some of his own money to help buy fuel for the Endurance. Much loved as he was willing to trade his tobacco ration for rock specimens with men who had long since smoked theirs when stranded on Elephant Island. 25 at the start of the expedition. 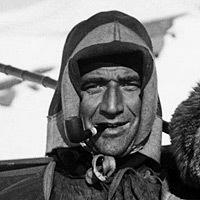 The smallest man on the expedition, Hussey's interview with Shackleton ended with "Yes, I like you, I'll take you." Shackleton told him afterwards he took him because he thought heI looked funny! Hussey's ready wit and banjo playing helped raise morale. When the men were only permitted 2 pounds of personal effects after the Endurance sank, Shackleton took Hussey's banjo along even though it was way over the allowance. 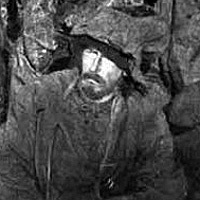 23 at the start of the expedition. "Gentle Jimmy" had: "some wonderful electrical machines which none of us understood...and a joke of ours that annoyed him very much was that he did not either." He joined the expedition almost by accident after hearing about it from someone he didn't know very well. 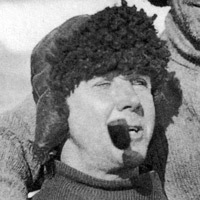 23 at the start of the expedition. 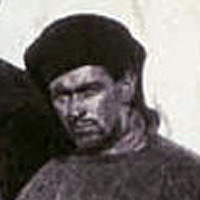 An almost archetypal "dour Scot", Clark nonetheless gained respect from the crew due to his willingness to turn out for any work that needed to be done and always pull at least his own weight. All of his carefully collected specimens were lost with the Endurance. 32 at the start of the expedition. 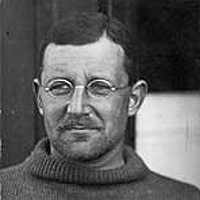 An Australian and the only member of the expedition that Shackleton didn't meet or interview before the expedition set off, Hurley was accepted on the the strength of his work with Mawson on the 1911-13 Australasian Antarctic Expedition. 29 at the start of the expedition. 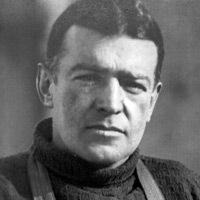 Marston made sketches of life on the pack-ice and also Elephant Island, once again contributing to Shackleton's official account of the expedition. 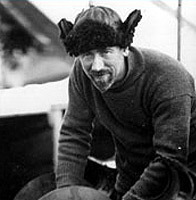 Marston made a not inconsiderable sacrifice on Elephant Island in giving up his oil paints to be used to help caulk the James Caird for the journey to South Georgia. 32 at the start of the expedition. A complex and eccentric character, Orde-Lees was a skier (at a time when this was very unusual) and a physical fitness expert. He was generally disliked by the other expeditioners, though was an effective and thorough store-keeper. His diary is one of the more perceptive of those kept by the Endurance crew and much called upon by many accounts written about the expedition by others. 37 at the start of the expedition. One of the oldest members of the expedition being 40 at the outset. 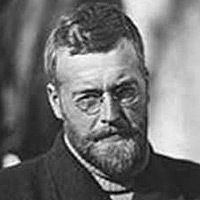 A Scot whom Shackleton wrote was "the only man I'm not dead certain of". A somewhat curmudgeonly figure actually more than a carpenter, being a shipwright. 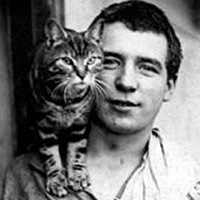 He fell out with Shackleton after his pet cat "Mrs. Chippy" was ordered to be shot and later clashed directly with Shackleton when he questioned his authority and right to still give orders after the loss of the ship. 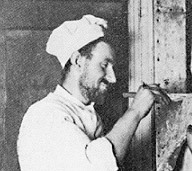 A life-long ships cook, Green worked the longest days of any on the expedition on a regular basis, from early morning till evening, preparing meals for 28 hungry men. He gave over 1000 lectures about the expedition throughout a long life on his return to England. 26 at the start of the expedition. An artist as well as an Able Seaman which no doubt swayed his appointment by Shackleton. How had worked in the sub-Arctic with the Canadian Auxiliary Survey Ship. 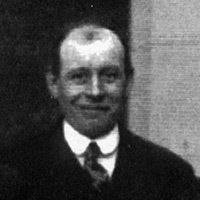 Along with Bakewell, he was responsible for smuggling stowaway Perce Blackborow aboard and hiding him on the Endurance. 29 at the start of the expedition. 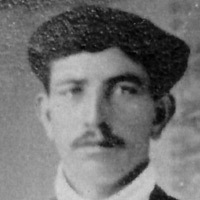 American William Bakewell joined the Endurance at Buenos Aires, he posed as a Canadian thinking that the British ship would be more inclined to take on a subject of the British Empire. He helped his friend Perce Blackborow to also join the ship unofficially as a stowaway. Well liked and regarded by Shackleton as "... a cut above the rest of the seamen". 26 at the start of the expedition. 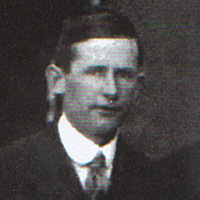 A strong young Irishman who had a reputation for being ever optimistic and good natured. 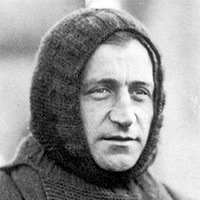 McCarthy is one of the six men who made the journey from Elephant Island to South Georgia on board the James Caird, though he did not cross South Georgia, but stayed with two other ill men. 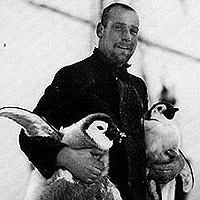 He died in the war just 3 weeks after returning from Antarctica. 26 at the start of the expedition. A sailor for 27 years when the expedition began, Thomas McLeod had been at sea since he was 14 years old and had already been to the Antarctic with Scott aboard the Terra Nova. 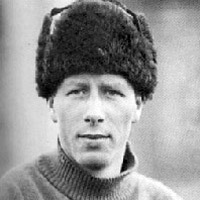 He was one of the few able seamen to hold two Polar Medals. 45 at the start of the expedition. A sailor in the Royal Navy and was a former trawlerhand on fishing boats on the North Sea. Physically the strongest man aboard but he suffered on the journey of the James Caird to South Georgia. He lost his upper lip when it became frozen the edge of a metal cup and his health deteriorated below that of the other men for reasons that didn't seem quite clear. By the time he reached South Georgia, he was in a very bad state. 30 at the start of the expedition. 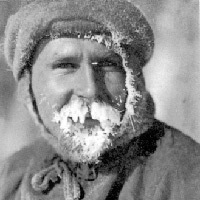 Considered by Orde-Lees in his diary to be "the most loyal to the expedition" though he was one of only four of the crew not to be awarded the Polar Medal by Shackleton. Best known for being the unfortunate individual who was sleeping in his bag right over the crack when the ice flow the men had been camping on split in two. 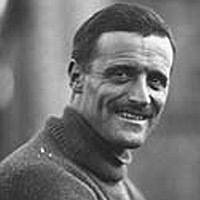 He was dropped into the icy sea and were it not for Shackleton who just happened to have been pacing about pondering what to do about the mounting predicament, would have been crushed when the two halves of the floe came back together again. 22 at the start of the expedition. Senior stoker on board the Endurance (fireman in the days of steam engines meant someone who kept fires going rather than someone who put them out), his task was to to tend the engine boiler and ensure there was enough steam to power the engines. When the Endurance was crushed therefore, his job as well as that of his mate Holness, came to an end. 25 at the start of the expedition. Probably the only stowaway ever on an Antarctic expedition. He applied for a job on the Endurance in Buenos Aires but was turned down, when his friend William Bakewell was accepted, he smuggled Perce aboard with him. 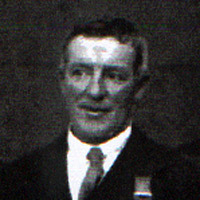 Only 19 at the time, he was taken on as steward by Shackleton when discovered and proved himself to be a good seaman. Given the distinction by Shackleton of being the first man ever to land on Elephant Island, he had to crawl rather than walk due to gangrene in his foot - all the toes of his left foot were amputated successfully in very primitive conditions. "The Endurance spar, the only surviving relic of Sir Ernest Shackleton's ship Endurance. This spar was used as a distress signal flagpole by the party left on Elephant Island by Sir Ernest when he sailed to South Georgia for help. In 1916 the spar was brought back from Elephant Island by Mr (later Sir) James Wordie, subsequently master of St Johns College, Cambridge. In 1998 it was presented to the Institute by Mr William Byrne"
Landmarks named after The Endurance or related to the expedition, other than crew members. Description: A line of steep east-facing cliffs between Mount Summerson and Mount Albright in the S part of the Geologists Range. Mapped by the northern party of the NZGSAE (1961-62). Description: An undersea ridge. Name approved 6/87 (ACUF 225). Description: That portion of the coast of Coats Land lying between the terminus of Stancomb-Wills Glacier, in 2000W, and the vicinity of the Hayes Glacier, in 2754W. Sir Ernest Shackleton sailed along the coast in the Endurance during January 1915, naming it for Sir James Caird, patron of the expedition. Description: A cove NE of Laguna Hill in the NW part of Port Foster, Deception Island, in the South Shetland Islands. The feature was formed as the result of volcanic eruptions on the island between December 1967 and August 1970. 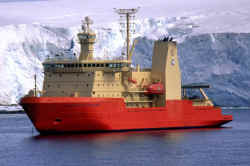 Surveyed from HMS Endurance in January 1988 and named after the survey boat Stancomb-Wills used in the survey. Description: A large glacier that debouches into eastern Weddell Sea southward of Lyddan Island where it forms the extensive Stancomb-Wills Glacier Tongue. The glacier was discovered in the course of the U.S. Navy LC-130 plane flight over the coast, Nov. 5, 1967, and was plotted by USGS from photographs obtained at that time. The name was applied by US-ACAN in 1969, in association with the "Stancomb-Wills Promontory" (now Stancomb-Wills Glacier Tongue), the seaward edge of which was discovered and named by Shackleton in January 1915. Description: A very extensive glacier tongue, the seaward projection of the Stancomb-Wills Glacier into eastern Weddell Sea. The cliffed front of this feature was discovered in January 1915 by a British expedition led by Shackleton. He named it "Stancomb-Wills Promontory," after Dame Janet Stancomb-Wills, one of the principal donors of the expedition. In 1969, US-ACAN amended the name to Stancomb-Wills Glacier Tongue. This followed the U.S. Navy LC-130 aircraft flight over the area, Nov. 5, 1967, on which the glacier was discovered and the relationship with the glacier tongue was first observed.